Law enforcement officers put their lives on the line daily to keep Safford safe. 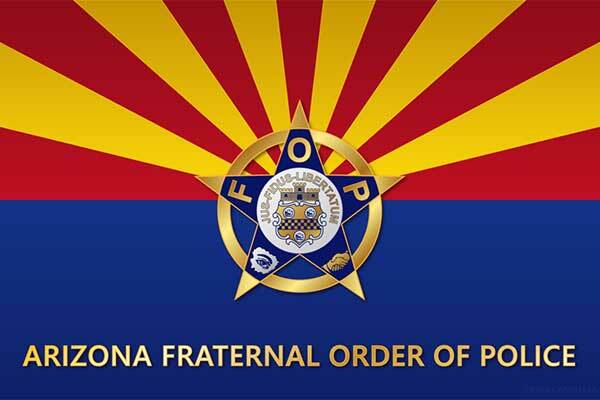 The Arizona Fraternal Order of Police represents more than 9,000 members across Arizona, working to improve the safety of the public and the men and women on the frontlines. This election, Arizonans face a clear choice when it comes to the future of law enforcement in Safford and statewide. Gov. Doug Ducey has been a strong ally of law enforcement and a strong force for protecting families. Gov. Ducey will continue to make Arizona a safer place to live. David Garcia, Ducey’s Democrat opponent, has voiced proposals that would make our mission to protect you more difficult. Garcia and his team have indicated support for abolishing Immigration and Customs Enforcement (ICE) and removing National Guard troops deployed along the border. Should such ill-conceived proposals become reality, Arizona would be a less safe place to live and do business. While Gov. Ducey was standing up for law enforcement, David Garcia’s social media director was making vulgar, anti-police social media posts that cannot be repeated in a family publication. Keeping Arizona safe is a team effort. From the streets to the dedicated professionals appointed by Gov. Ducey to lead public safety statewide, we need to double down on keeping communities safe, not roll back efforts to secure our border and our neighborhoods. This election offers a clear choice. The law enforcement professionals of the Fraternal Order of Police strongly support Doug Ducey for governor. We can think of no better person to continue leading our state and to ensure that we can keep your family safe.